So few countries are like Japan. It is a place where everyone is good at their jobs and where crime is low. It is a place where ancient traditions blend with modern technology and modern lifestyles. 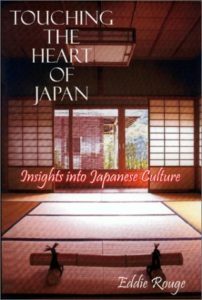 Japan continually adapts to the changing of the times but her heart still retains her unique identity. There is a cultural universe inside every Japanese individual that is both logical and mysterious. Imagine a place where communication revolves around silence and ambiguity and you begin to understand something of the Japanese heart. This book explores those areas as well as what common everyday life is like. It presents insights into history, culture, and current trends, as well as personal experiences by the author. A concise analysis of lifestyles is portrayed of the children, adults and senior citizens. Touching the Heart of Japan presents all these things and more.